On the 10th of September 1890, fashion pioneer Elsa Schiaparelli was born in Rome, Italy. She is remembered for her witty accessories, such as a purse in the shape of a telephone and reoccurring motifs such as masks, cages, and butterflies. She was also famous for creating garments with multiple uses, such as a skirt that could be worn as a cape. During her shows she played on the idea of metamorphosis through clothing which was employed to conceal one facet of a woman only to reveal another. Although she came from a well-to-do educated family – her father was a scholar of Arabic and Islamic studies, which inspired her fashion work; a cousin was an Egyptologist; and her uncle, an astronomer – Schiaparelli had her fair share of struggles and her success was entirely self-made. 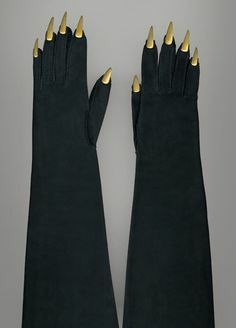 Moving to Paris as a single divorced mother, Schiaparelli started her career by producing elegant and simple clothes for herself and her friends. She then met Paul Poiret, perhaps the most distinguished designer of his time, who kindled in her the taste for design and by 1927, her sweaters knit with trompe l’oeil bows attracted international attention. A significant sportswear wholesaler started importing her garments in New York and soon, inexpensive copies of her designs cropped up everywhere. Even though these fakes costed her a small fortune in losses, Schiaparelli maintained that when people cease to copy you, your work is no longer significant. She managed to sell her collections to important American and British department stores of the day and distributed her patterns through women’s magazines. In 1935, Schiaparelli famously opened a 98-room salon in Paris at 21 Place Vendôme, establishing the “Schiap Sho p” on its ground floor – the first ready-to-wear boutique by a large fashion house on the highstreet. 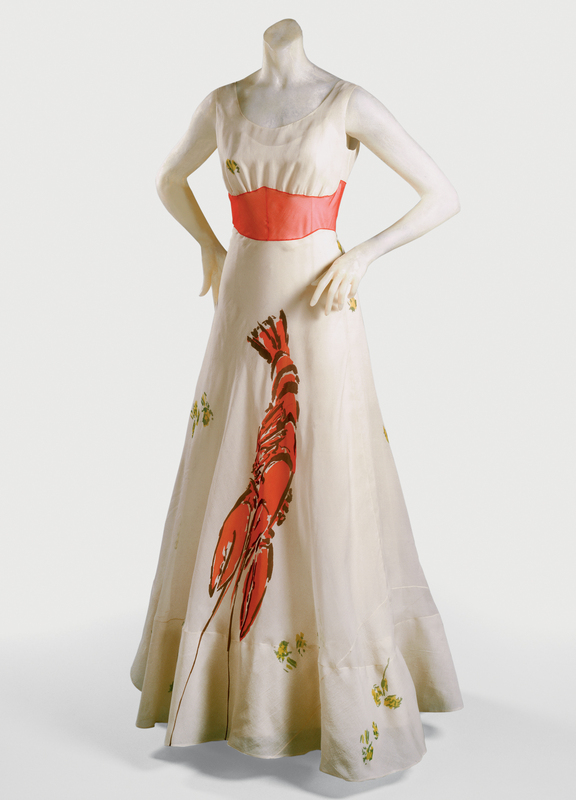 “Unlike her great rival Coco Chanel, who struggled from poverty and ignominy to achieve professional distinction and regarded couture as a business, Schiaparelli always viewed her work as art. She associated herself professionally and socially with major artists, utilizing their talents and contributing to their projects. Even without the validation of this rarified company, Schiaparelli’s visual intelligence, humor, and ability to integrate complex ideas brings to her work a distinction beyond the ephemeral. To her, fashion was “born by small facts, trends, or even politics, never by trying to make little pleats and furbelows…or by the shortening or lengthening of a skirt.” Her aerodynamic silhouette, a kind of angular draped bustle, was introduced in 1933, the same year as the Boeing 247, the first all metal passen ger plane. One aspect of Schiaparelli’s forward-looking vision was her eagerness to incorporate, even instigate, novel color and fabric treatments. She registered a number of patents, including one for a back-less bathing suit. She also introduced the split skirt, undisguised by panels, shocking Londoners when she wore one there during a 1931 trip to buy tweeds.” (Robin Rice, review of Shocking! The Art and Fashion of Elsa Schiaparelli by Dilys E. Blum, in Woman’s Art Journal, Vol. 25, No. 1, Spring – Summer, 2004). thank you, Meredith 🙂 and welcome! Love Schiaparelli hats and the hat boxes too- such works of art!